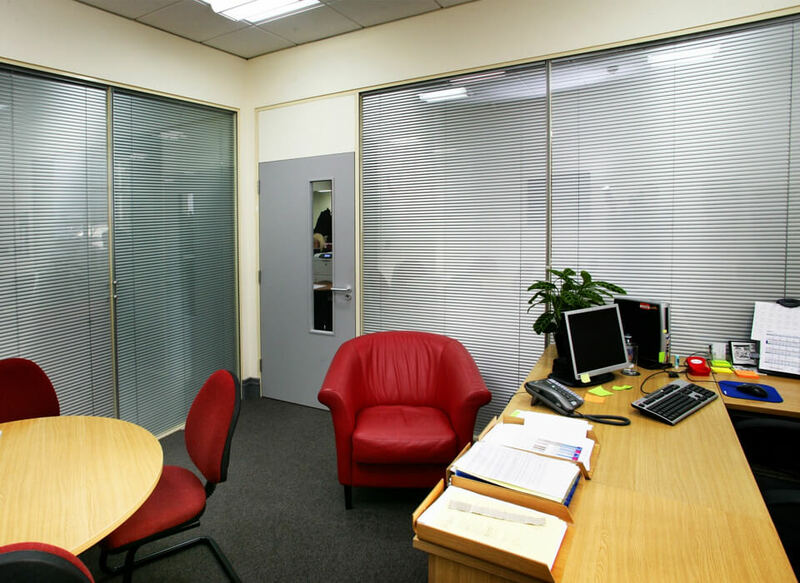 At A-Z Blinds we have over 25 years of experience supplying and installing superior standard blinds for a variety of commercial Office environments. 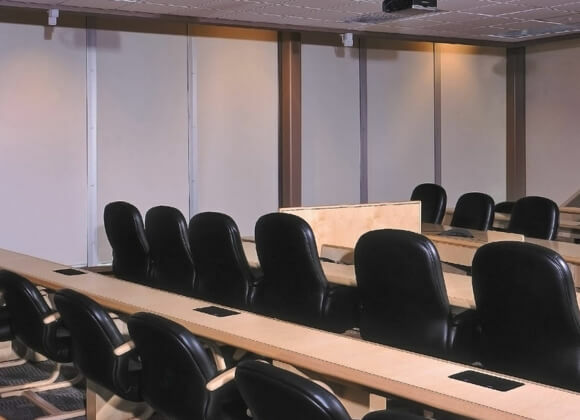 Our office blinds are specifically created with quality, practicality and functionality in mind, and grant you complete control of the light entering your workplace. 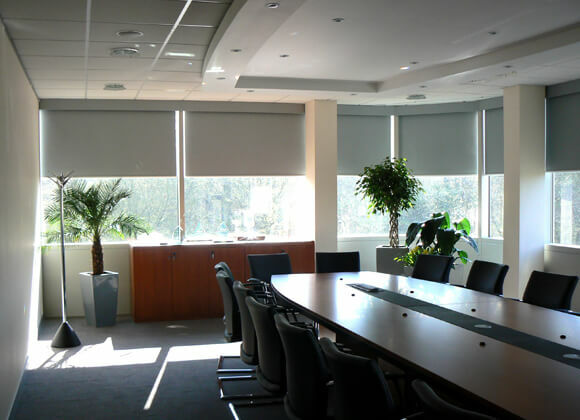 High quality blinds can dramatically improve the professional impression your company makes, and they will also significantly enhance the visual appeal of your office work environment, increasing both client opinion and staff morale. 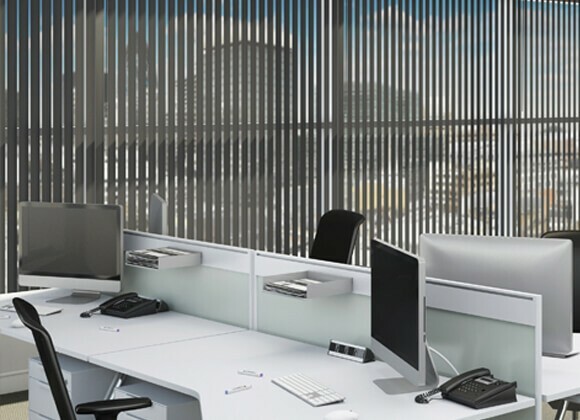 Whatever your individual requirements, we offer a wide range of styles and designs – including the most popular vertical, Venetian and roller – and we guarantee to have the perfect office blinds for you in our collection. 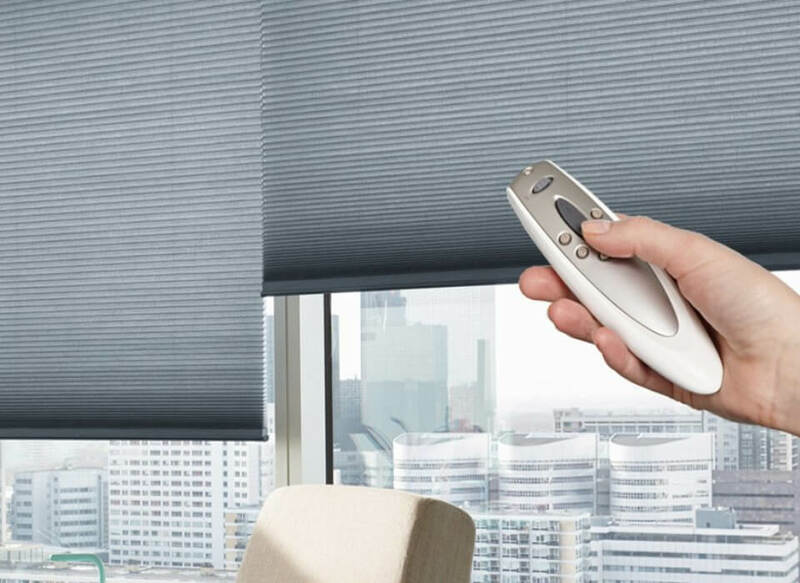 Experience tells us that sometimes blinds are not high on your list of priorities and are often over looked when moving to new premises which is why we stock a large quantity of the most popular fabrics in case you need them quickly. 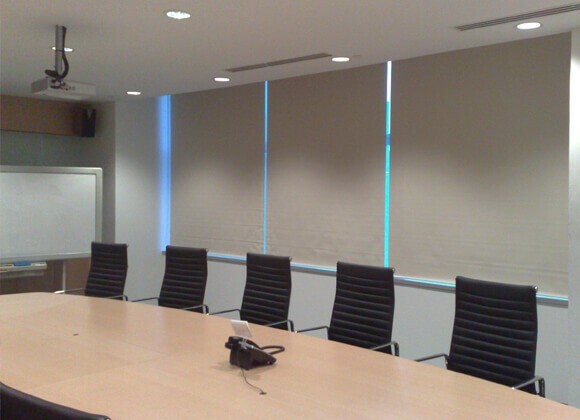 We have hundreds of fabrics to choose from including specialist fabrics specifically designed for offices, schools, factories, restaurants and shops which can help reduce glare from your computer screen, flame retardant fabrics to meet with current legislation and heat reflective fabrics to help achieve a more comfortable working environment. 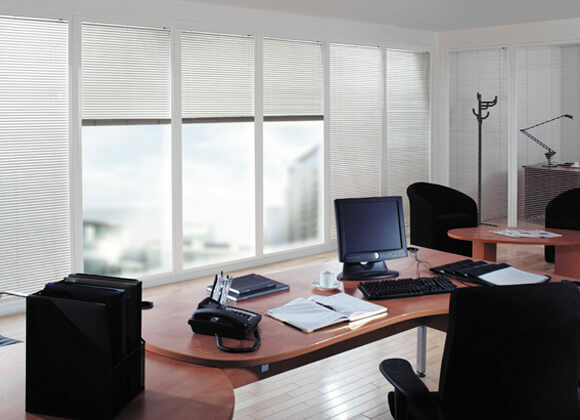 As part of our dedication to exceptional levels of workmanship and customer service, we can visit your office free of charge to liaise with you about your choice of blind and take precise measurements of your windows at a time that’s convenient for you. Our specialists can then fit them for you, at a time that’s most convenient for your business, making sure they look great and will function reliably for years to come. 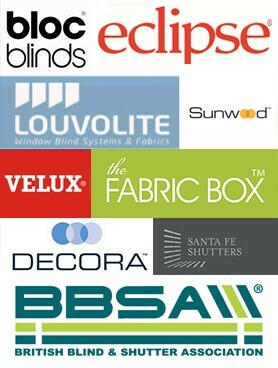 So for more information about our extensive selection of office blinds, and for a free quote, give us a call at A-Z Blinds today! 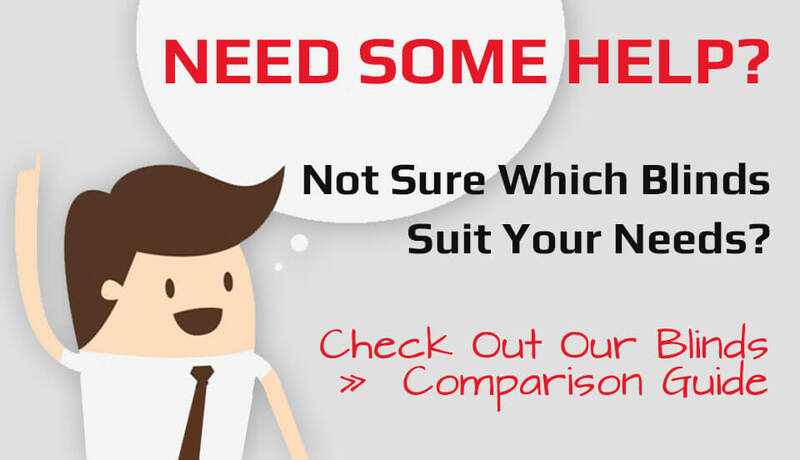 Why Choose Our Commercial Office Blinds? Range of elegant durable materials.